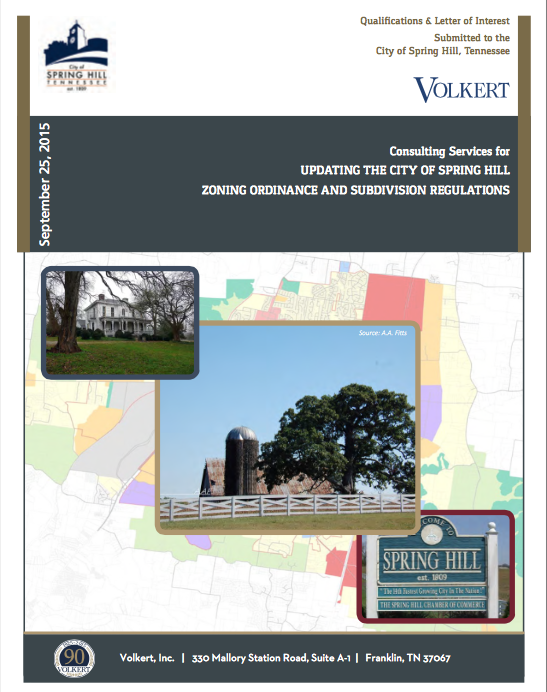 In July, the City of Spring Hill issued a request for qualifications for professional planning services in regard to updating the City’s Zoning and Subdivision Regulations. The City received only one RFQ response from a team of local professionals. City staff will interview the team and make a recommendation to the Board of Mayor and Aldermen. The interview, which is open to the public, is at 7 p.m. Wednesday, Oct. 14 at City Hall. This is the start of a lengthy planning process that affects every single property owner in the city, and we want to encourage citizen participation from the very beginning.